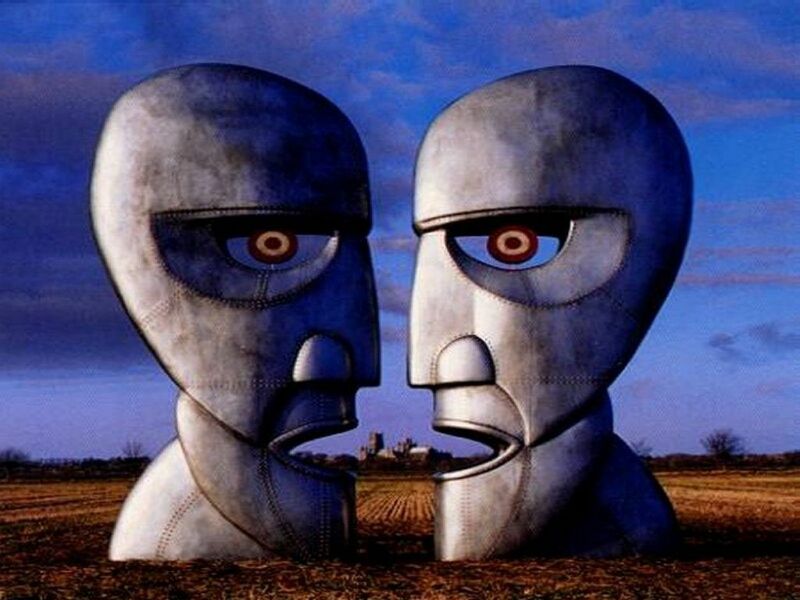 Since the late 60’s, Pink Floyd have been blowing our minds with awesome music, filled with deep philosophical lyrics that really leave us contemplating life. This versatile group were pioneers of their time for progressive rock music. They have been considered to have one of the most amazing live rock shows, as well as one of the most elaborate light displays ever. But can they help me learn English? The answer is YES! I’m going to show you how this legendary band is going to help your English immensely. In this article you’re going to help me decipher the real meaning behind the song “I wish you were here,” learn how to use the word WISH, sing along with the lyrics to practice your pronunciation, AND discover some interesting facts about the band. Pink Floyd fact #1 Why the name PINK FLOYD? The band was named after two blues musicians, Pink Anderson and Floyd Council. If you don’t have this song, download it instantly for free using Audio Thief. Learn more here. Can you tell = Do you distinguish a difference between heaven and hell/ blue sky and pain etc. Cold steel rail = The track of a train line. Veil= A length of cloth worn by women over the head, shoulders, and often the face. In this verse, I believe he is ironically saying that people get so involved in their lives and their careers that they don’t take the time to stop and smell the roses. People are so interested in money and success that they don’t appreciate the little things in life. 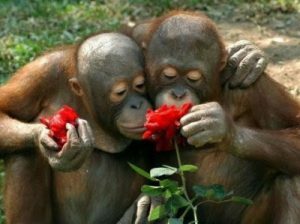 To stop and smell the roses= To appreciate what you have, and not be so worried about what you don’t have. What’s your interpretation?? Musical interpretation is 100% personal and we would love to hear what you think. Please comment on this article below. Many rumors have suggested that the album, The Dark Side of the Moon, is synchronized with the movie , The Wizard of Oz. Take a look for yourself here. Trade= To exchange something for another. Ashes= The grayish-white to black powdery residue left when something is burned. Breeze= A light current of air; a gentle wind. In this verse, I understand that he is asking us, did you sell out? Did we sacrifice our values for money or power. In reference to the band, they are probably referring to how money and fame have changed who they are, and probably how people treat them. In the phrase “for a lead role in a cage,” I believe he is saying, although you might be a leader, you’re still a prisoner, working for the man. Sell out= To forget about doing something for the love of it, and doing something for the wealth it brings. What’s your interpretation?? Please comment on this post below. The band were really big fans of Monty Python. 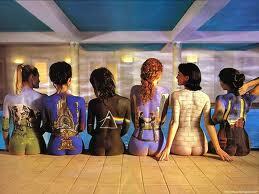 In the early 1970’s Pink Floyd and Led Zepplin helped fund the production of The Monty Python movies. In this verse I think he is singing about how he is not content with the way things are. When he used phrases, “year after year,” and “same old ground, same old fears,” he’s expressing that he is stagnate and can’t grow because of his fears. This same interpretation can also be used in language learning. People are too afraid of their accent, feel embarrassed speaking, and ultimately too scared to make a mistake that their English remains stagnant. Did you make a wish for your last birthday? If you rub a genies lamp how many wishes would you get? Best wishes for you and your family! So, with the examples above, can you decipher what wish means? In the above examples, I used the word wish as a noun but, there are many different ways to use it as a verb. I’m going to show you 4 structures of how we use this awesome word, WISH. The general meaning of the word is: To express desire for something that doesn’t exist now. This is one of the most commonly heard uses of the word wish. We use it this way to congratulate people. We use this to talk about present desires. This expresses that you want something or a situation to be different. A common problem with this use is when using the verb to be, I wish I was/ I wish I were. Both of these examples would be correct, but using “I wish I were” sounds more formal and is more common in test and written English. “I wish I was” which we tend to use more in spoken, colloquial English. We use this form of wish to say that we want to be doing something else at this moment. 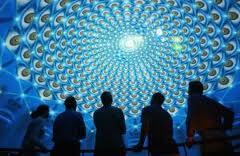 When used with the past perfect we are expressing that we want to change something we did in the past. It’s a good way of showing regret. This is used to show that you are unhappy with something that’s happening right now. 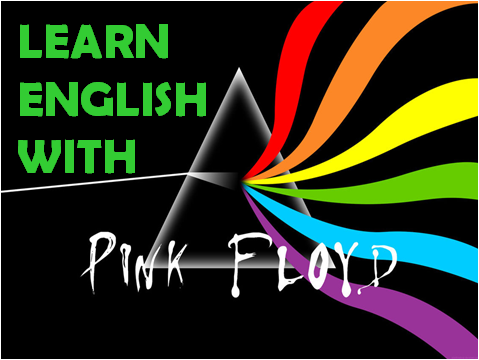 Want to Learn More About Pink Floyd? As you have just seen with this song, sometimes the interpretation of a song can be something that changes from person to person, especially with such ambiguous lyrics like in a lot of Pink Floyd’s music. If you have a different understanding of this classic track, we would love to hear about it in the comments, or on the Real Life English facebook page. very very impressive lyric, so philosopically to me. Another day you could choose a j.bieber song , it would be easier to understant. But Pink Floyd is cooler. I think you did a fantastic job! Thank you. I used "The Wall" to show my students what the lyrics were really about, they loved it! As an English teacher I think that students can learn a lot with songs and make classes enjoyable. Is there anyway I can print this article? I have never tried a process like that. it is so great ! I'm studying at the university as a english language and literature. I quess that it will be the best useful process during the school year. Appreciation always is so necessary for you . Well, I have heard that the real meaning of this song is that it was dedicated to Syd Barret the first singer of Pink Floyd who had serious problems with drougs and he almost was crazy. In fact when he left Pink Floyd were in his parent’s house a lot of years almost without to go out. And maybe for that they talk about ashes in a metaphorical way and other things. Well, if you read about the life of Syd Barret, maybe you could find a meaning to all I said. Saludos from Spain!